He may don a robe that makes him look like an “angle” flapping wings, but he is no more than a protector of pedophiles! 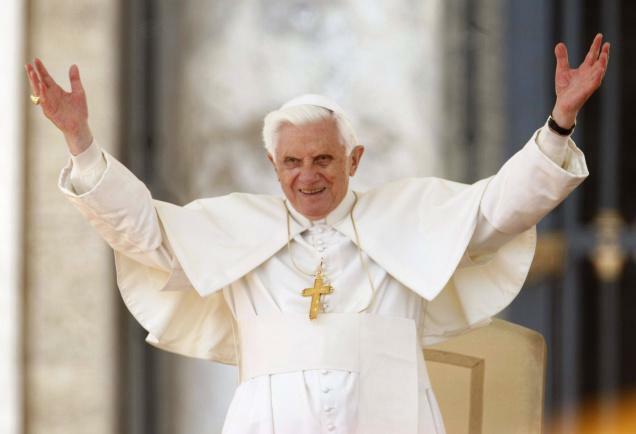 Pope Benedict XVI, Protector of Pedophiles, acknowledges the crowd during his weekly general audience, in St. Peter’s Square, at the Vatican, on Wednesday. Photo: AP. Image may be subject to copyright. Do you trust those sunken, ‘shifty’ eyes?